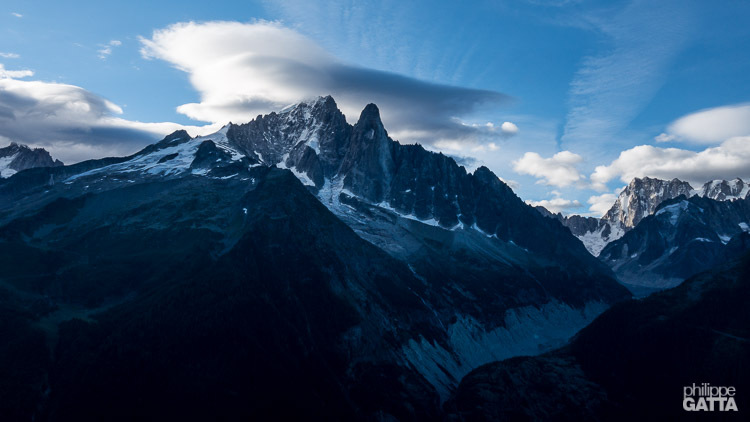 Le Pouce is one of the great peaks of the Aiguilles Rouges Massif. It has an impressive South face with some very good routes. The rough approach and the return along a ridge offers a full mountain experience. Vive la jeunesse is a short and convenient route for a half day climb. Perfectly located 20 minutes above the comfortable Argentière hut. 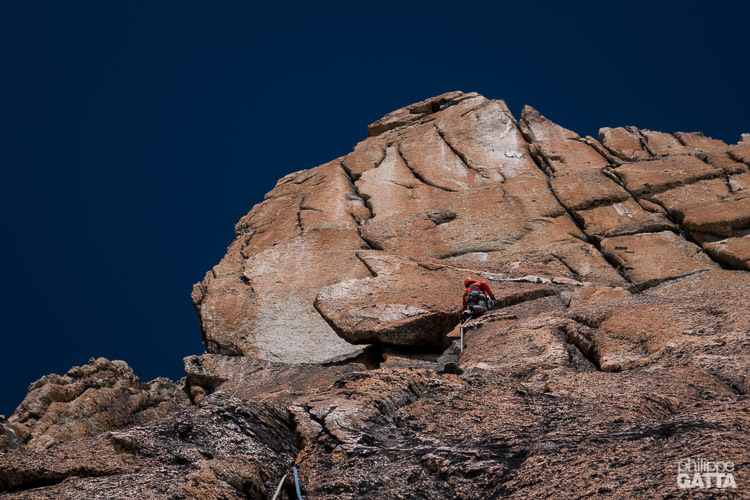 The route offers a mix of cracks, slab and overhangs on a perfect red granite even though I have a preference for Doux Refuge, a bit easier but more pleasant to climb. Voyage en Pierre Sainte is a new route, opened by E. Moro and D. Boroch in 2016. 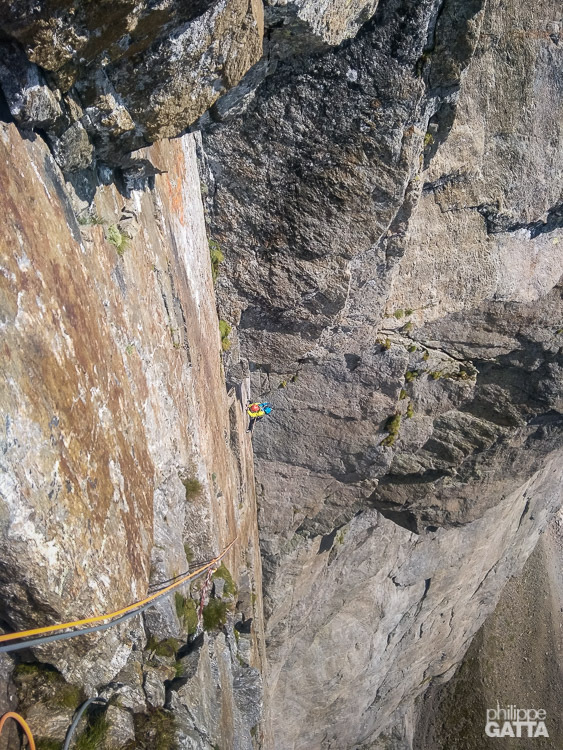 Located just right of Versant Satanique, it is very close in style with the two crux pitches on wide cracks, it is a bit harder and a top quality route. 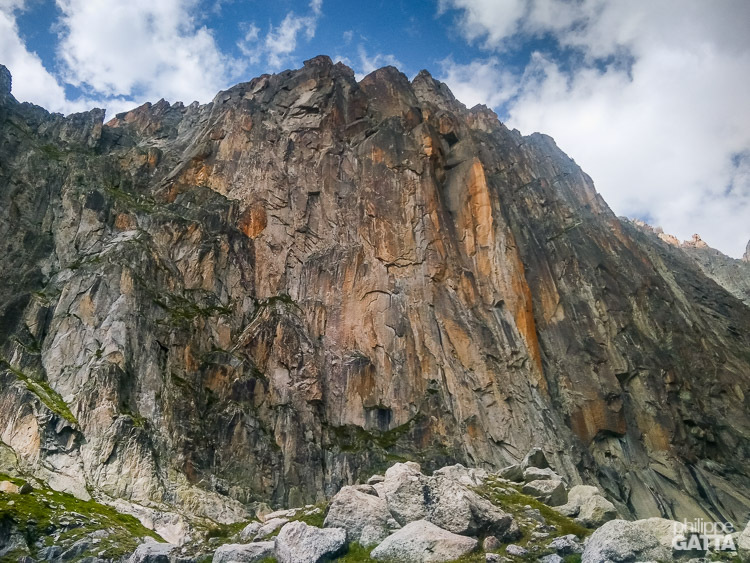 We were excited to go the the great wall of Flammes de Pierre to climb a route that looked promising: Les Flammes du Désir. 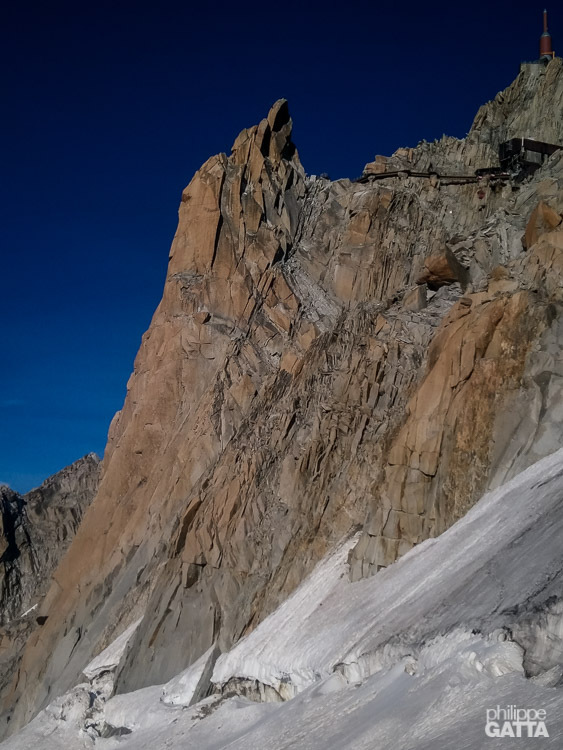 Unfortunately the weather has been unstable, the schedule from/to Montenvers was a bit tight and the route was far from nice: many cracks were full of grass, many anchors are old or on a single bolt and there are many unpleasant chimney to climb. Versant Satanique in the South face of Minaret is a classic route, offering some unique wide cracks on a perfect red granite. The Aiguille de la Glière can be quickly reached from the Index chairlift. 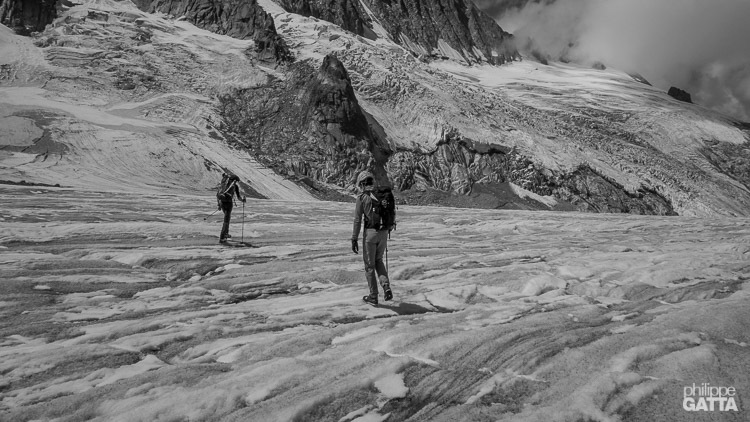 Looking for a more sustained climb than the famous South ridge, we chose the Les Portes de la Chapelle, a TD+ route. 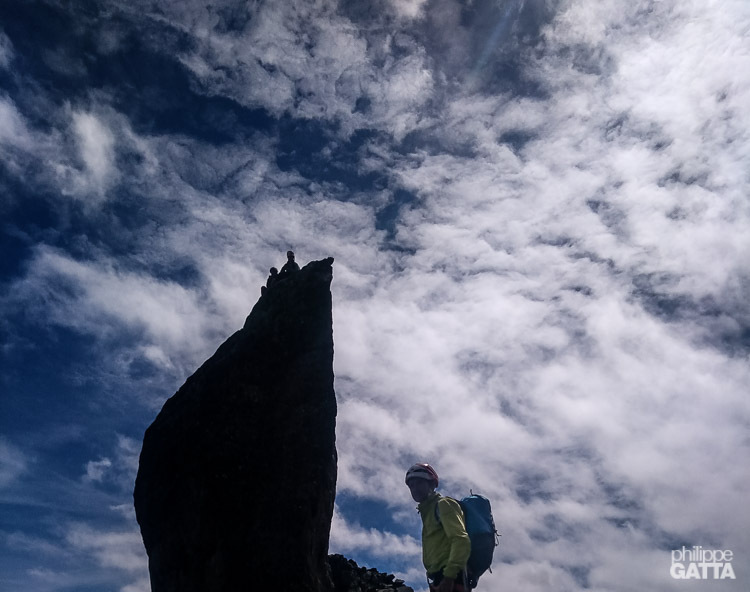 Looking for a short climb between two thunderstorms, we headed to the Aiguilles de Van (Perrons) and climbed Acqua concert. The route is not the best we have done but it is straightforward, easy to find and it’s worth the climb for the stunning views over Mont Blanc on one side and Emosson, Buet, Ruan on the other. 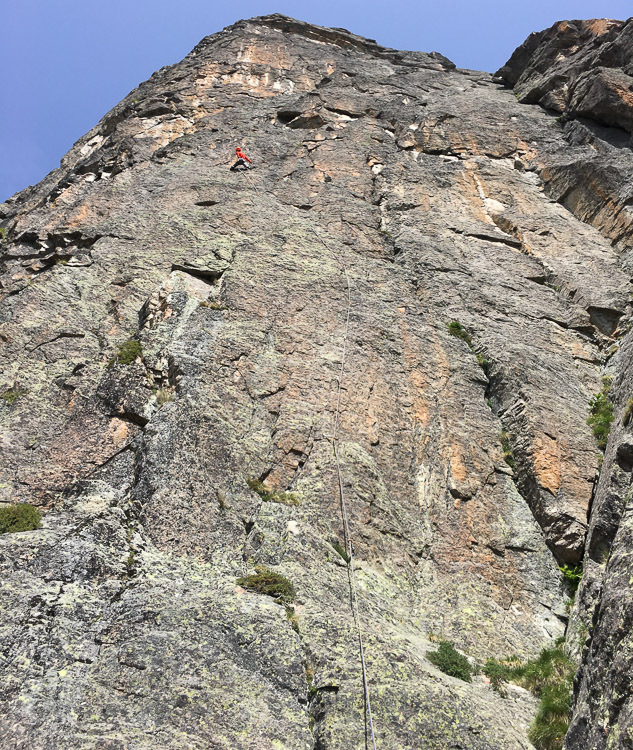 There are multiple great routes in the Perrons de Vallorcine and A Bigger Bang is definitively one of them with its memorable 7a pitch. The Kohlmann route is probably less known than the Rebuffat but as nice in my opinion. It is a short route, easy to find, on good granite with a climb mostly on corners. 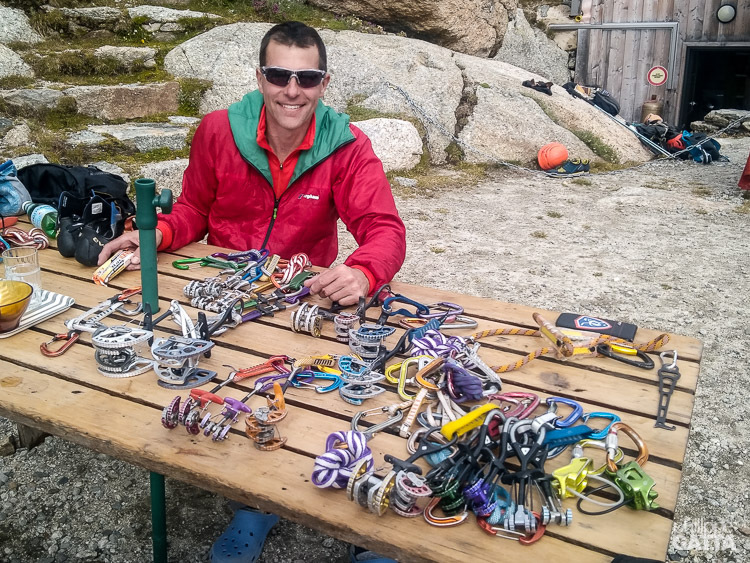 We did another fun climb in Aiguilles Rouges: the Ravanel route in the South summit of Aiguilles Crochues. 15 pitches/400 meters easy and very scenic, relaxing after the crimps of Aiguille du Belvédère.